Dalvey of Scotland has been making fine men's accessories for over 100 years! 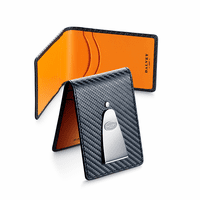 He will love this elegant black carbon fiber leather wallet! 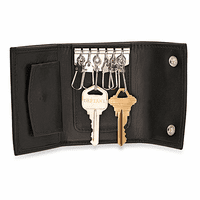 It holds up to 10 credit cards and/or business cards in the center slot, and has an attached stainless steel money clip that is stamped with the Dalvey logo. 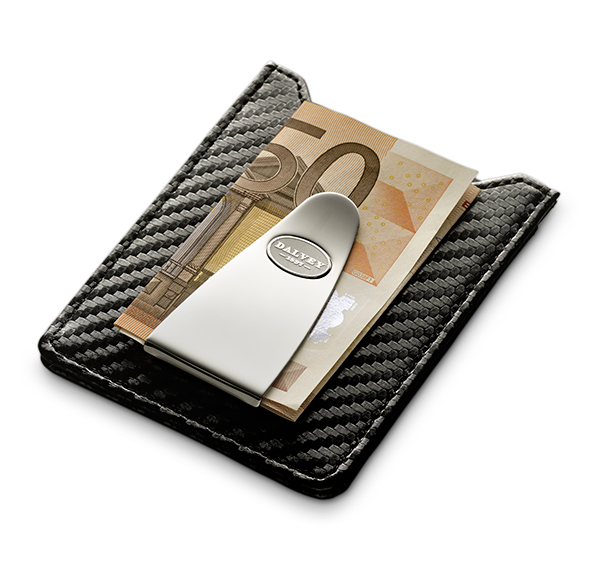 The clip holds up to 15 folded bills securely, and can be engraved for free with his name or initials! This money clip is packaged in a Dalvey of Scotland gift box. How many cards can it hold? Is it very thin? It actually has two slots for cards and each has a fair amount of give to them. 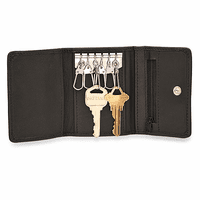 Each holds up to five credit cards. 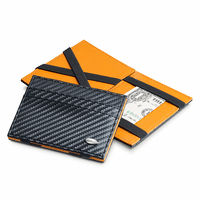 The wallet is very thin but can also accomodate up ten cards. Does the money clip flip open or is it a true clip? 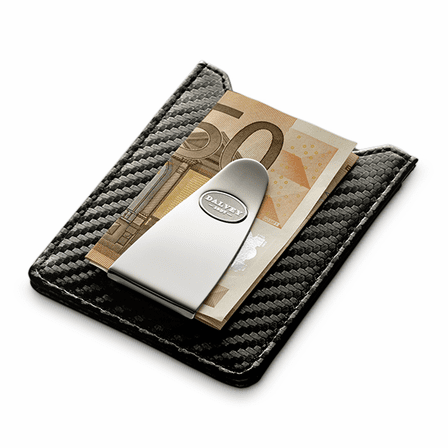 It is a french fold grip money clip, so it doesn't open up. You would slide bills into and out of it. Great look and quality overall very pleased and no more bulky ugly wallet for my husband! The Card/Money Holder, a gift for my boyfriend was awesome & as pictured! It's seriously high quality with a lot of class! Thank you, you definitely have a repeat customer!